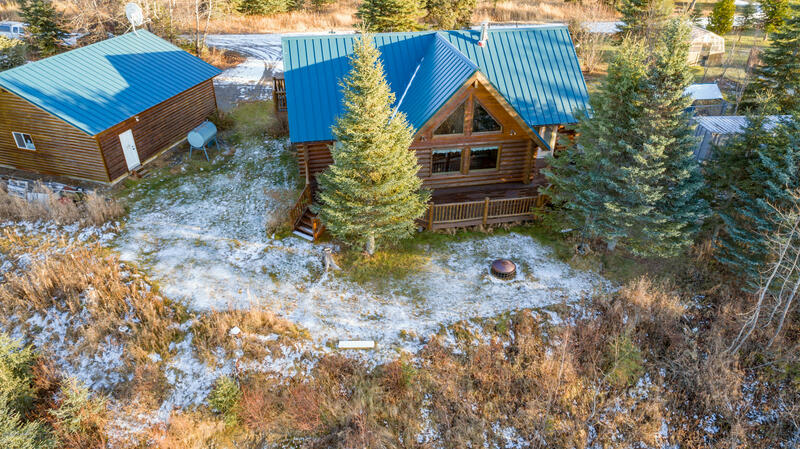 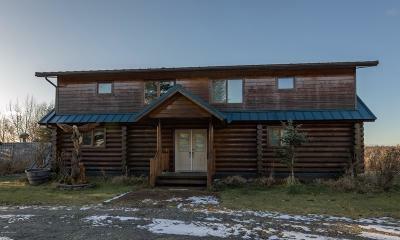 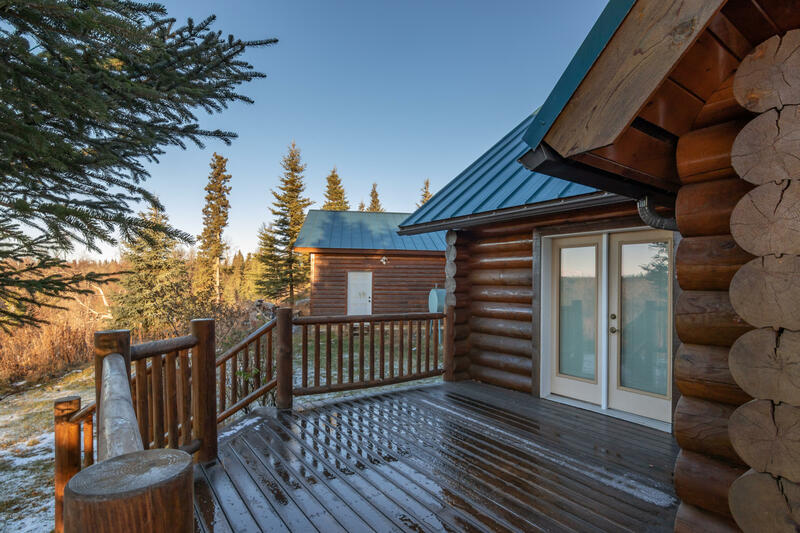 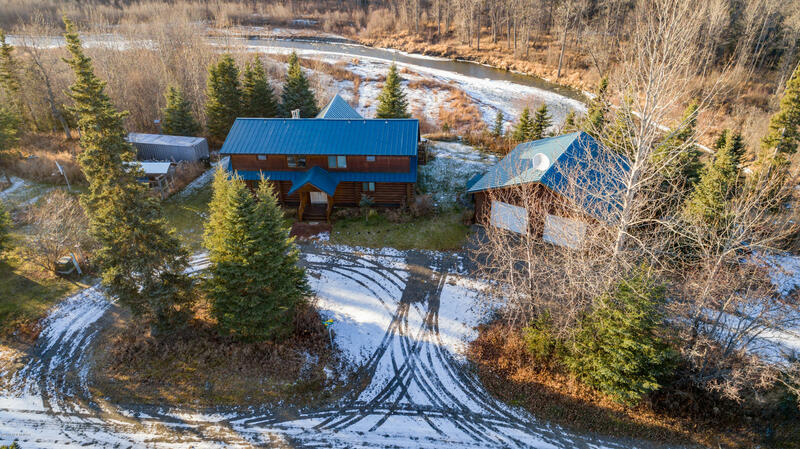 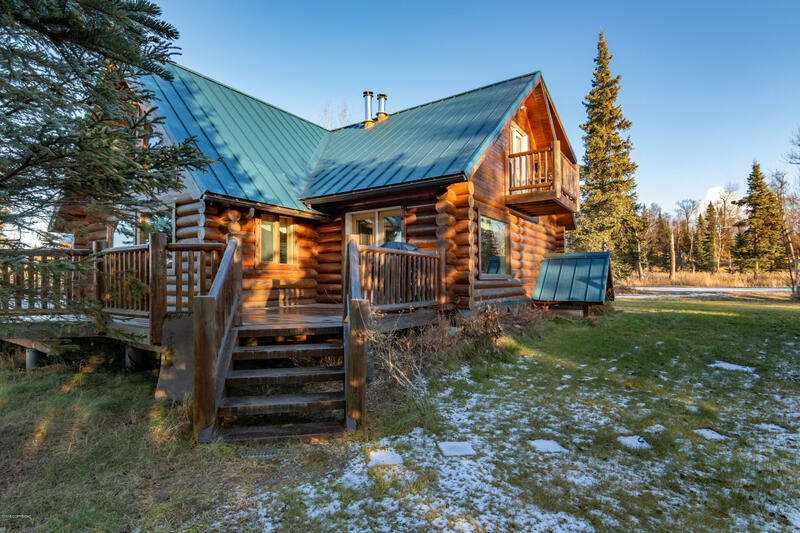 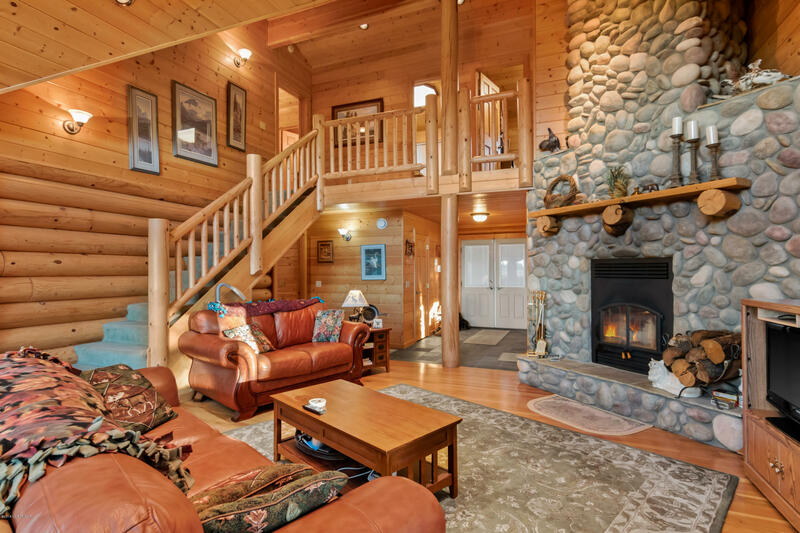 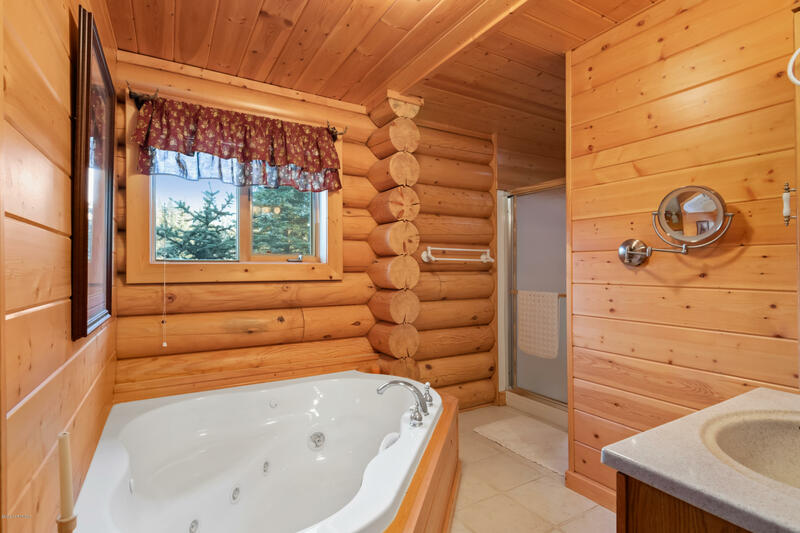 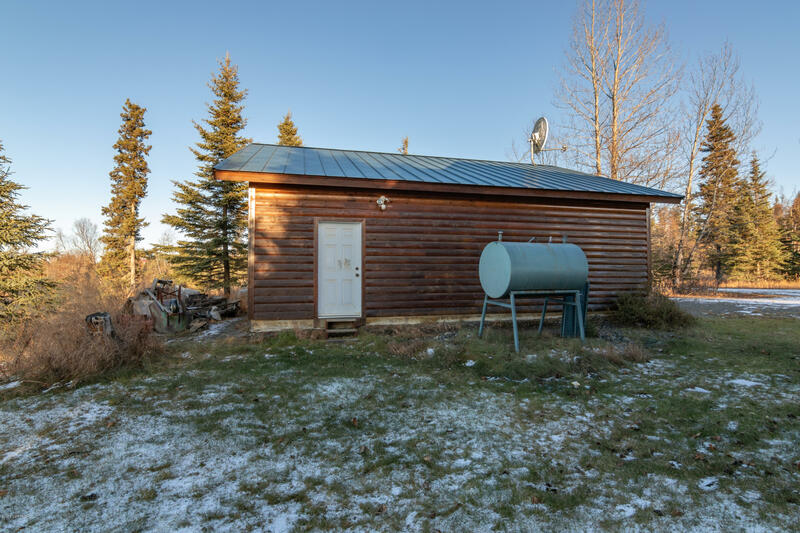 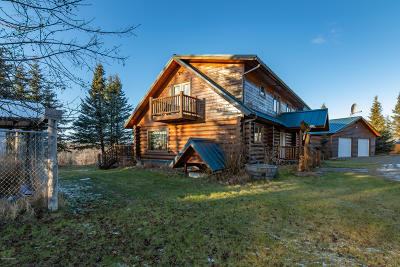 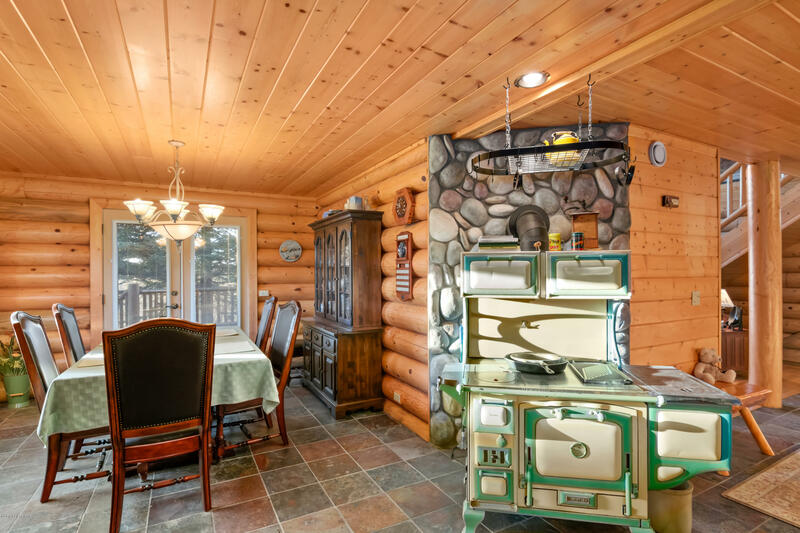 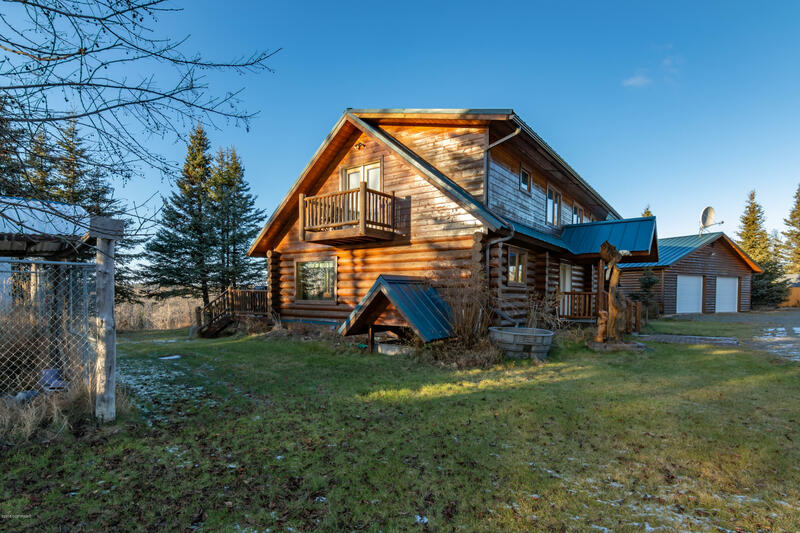 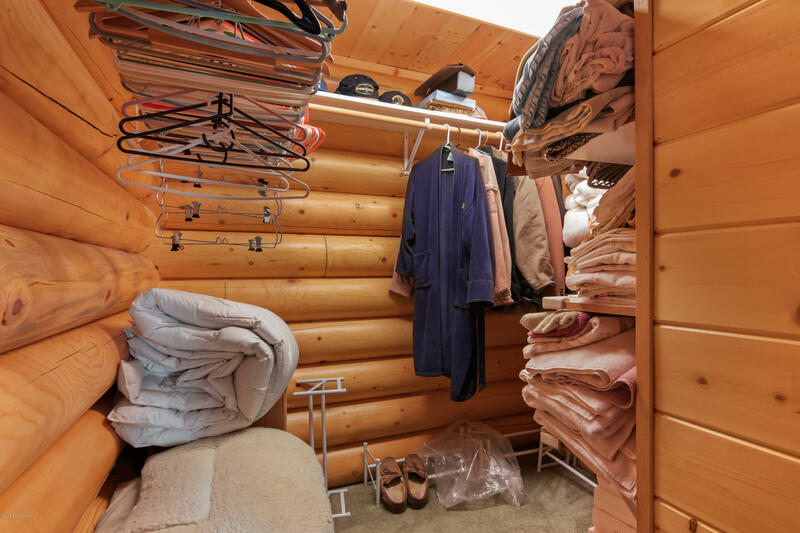 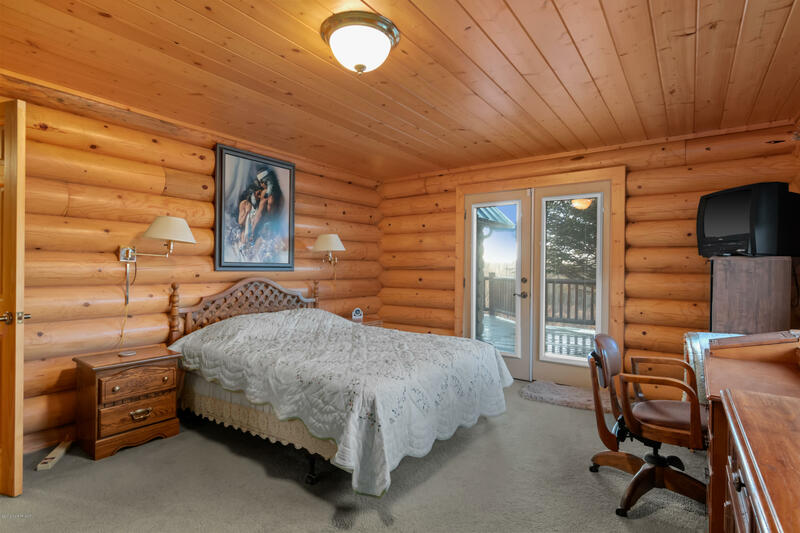 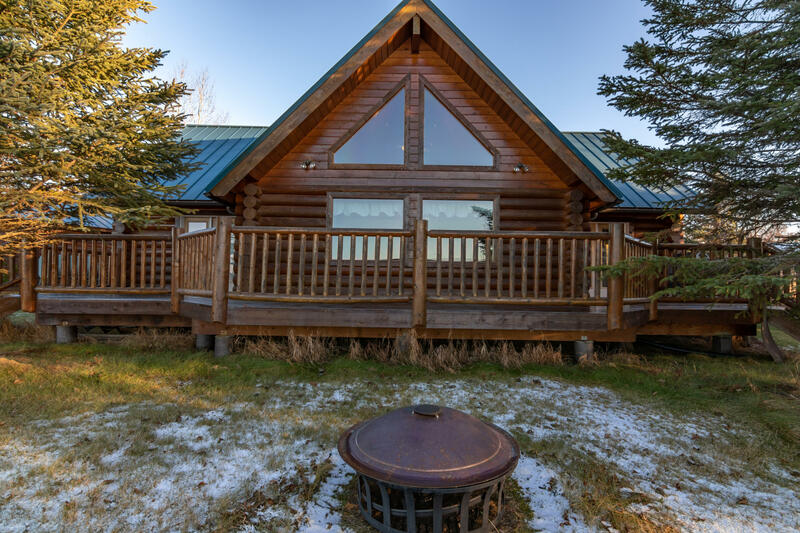 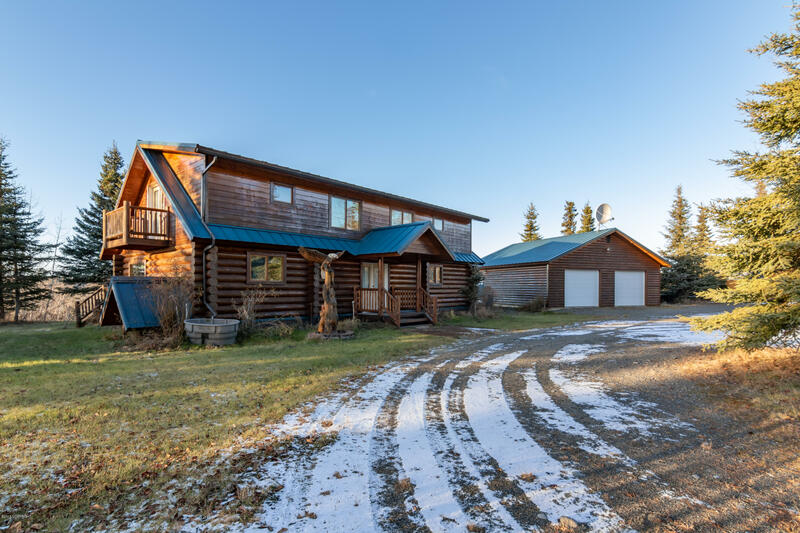 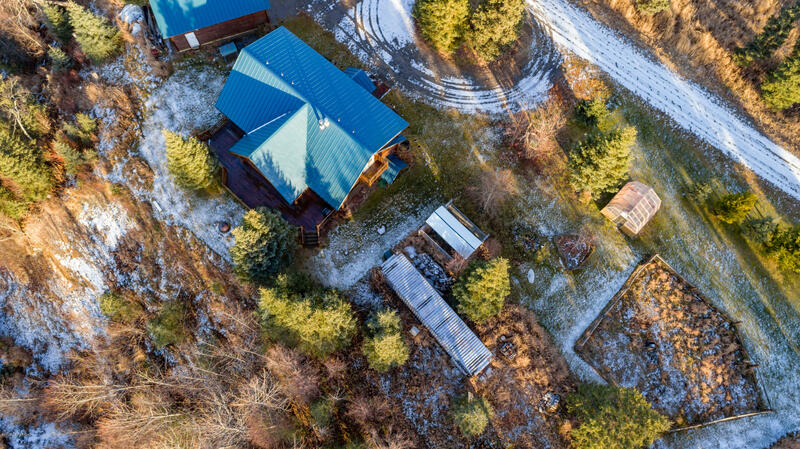 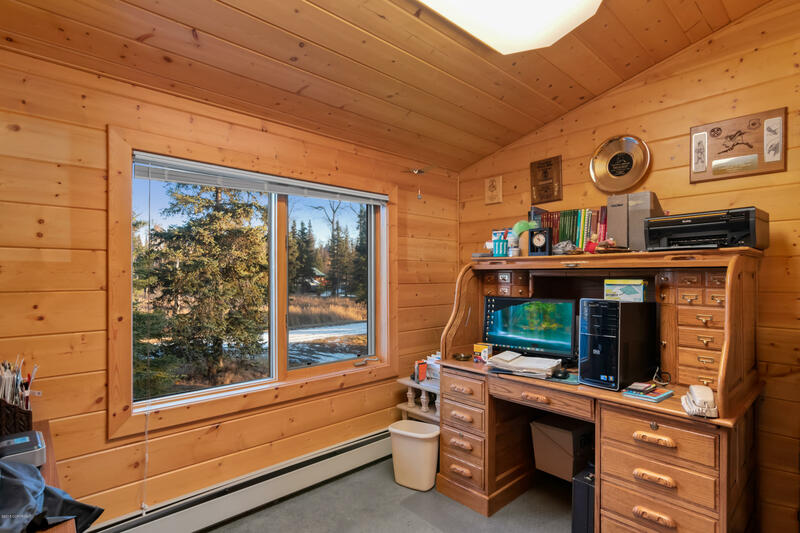 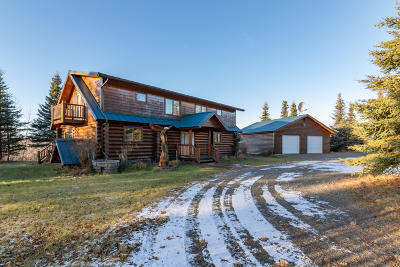 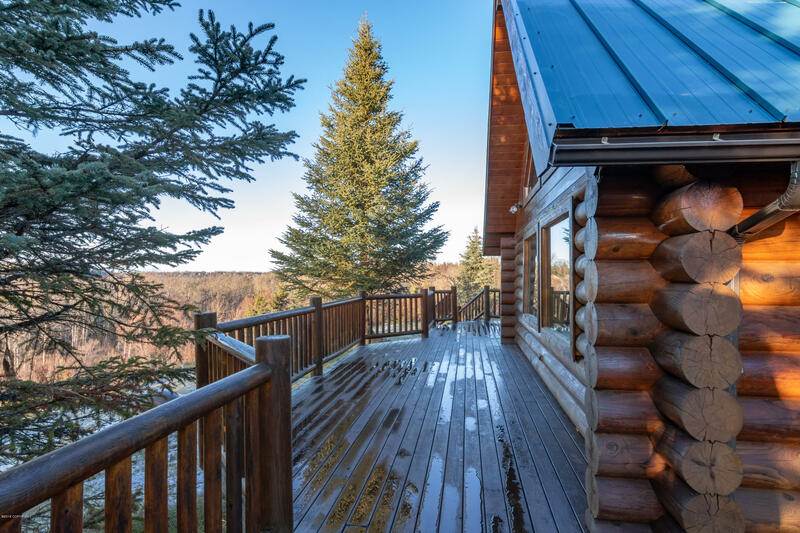 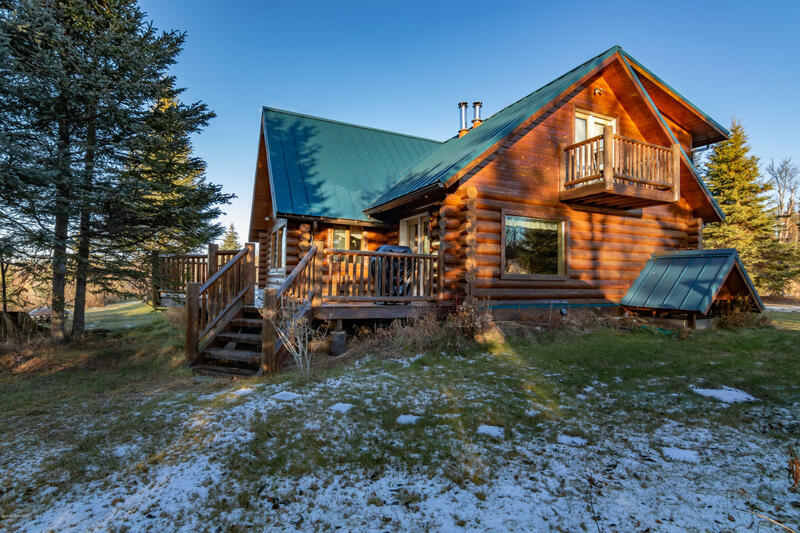 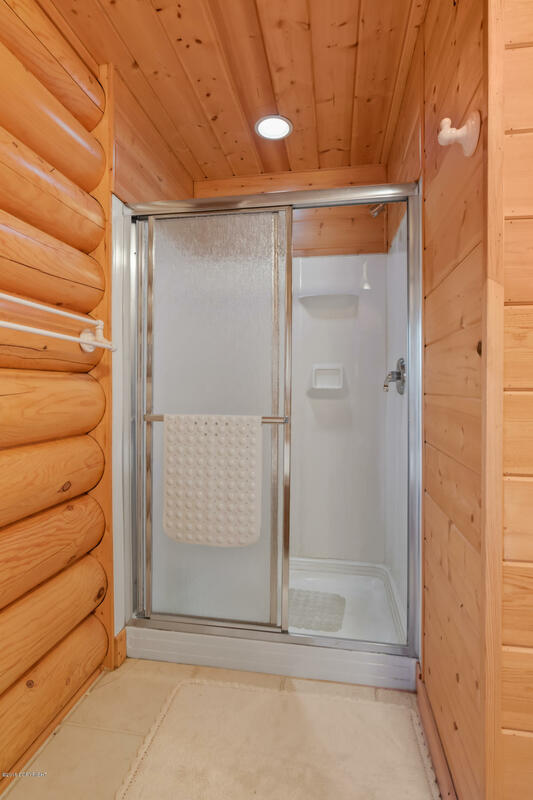 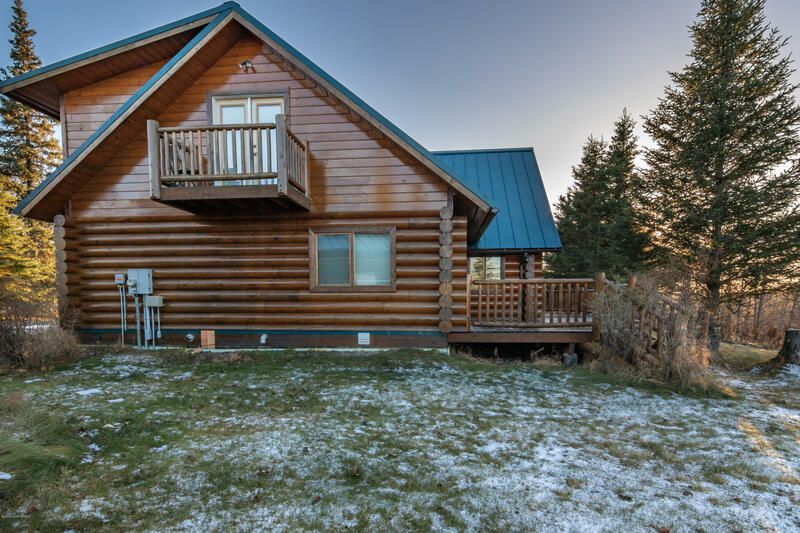 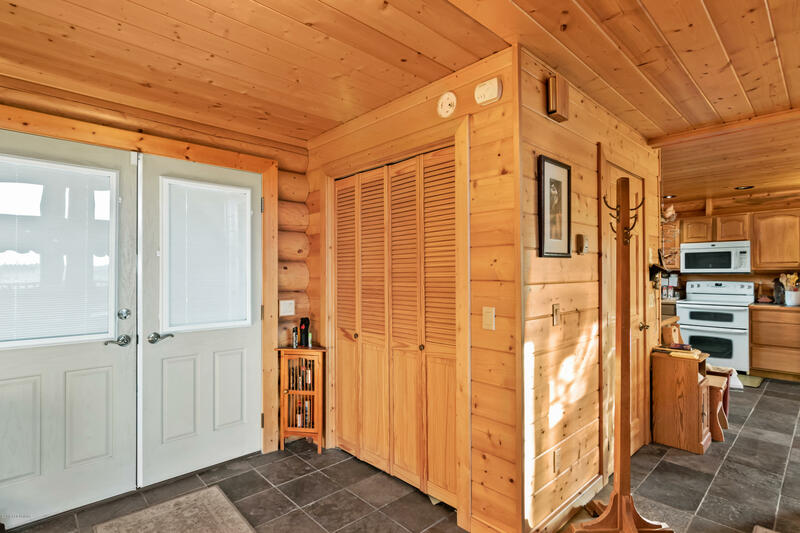 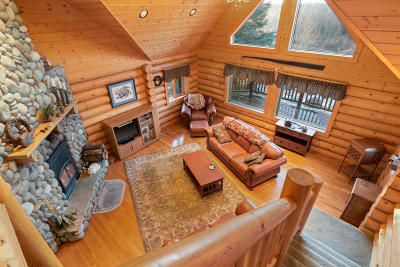 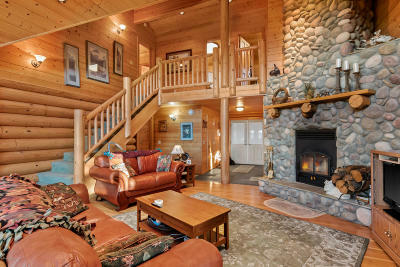 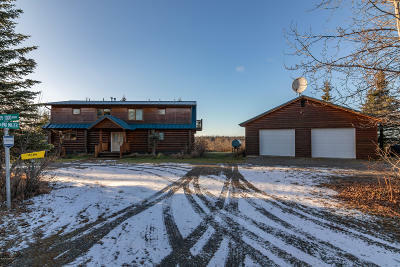 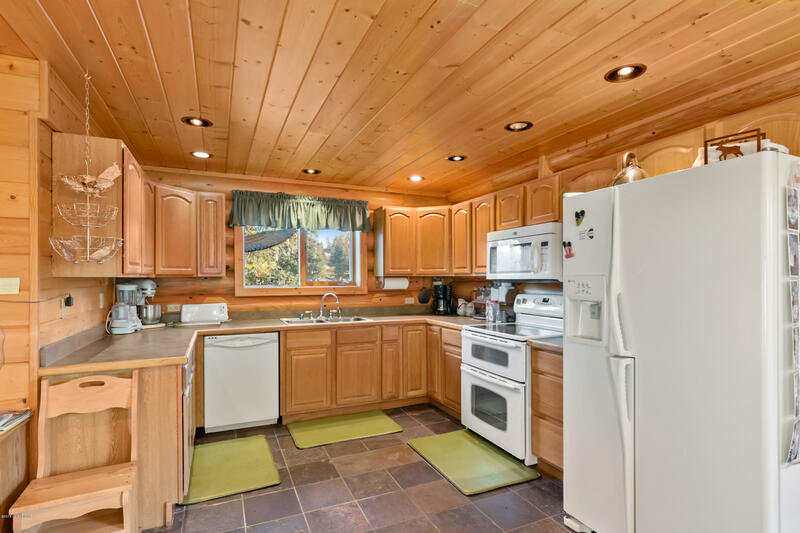 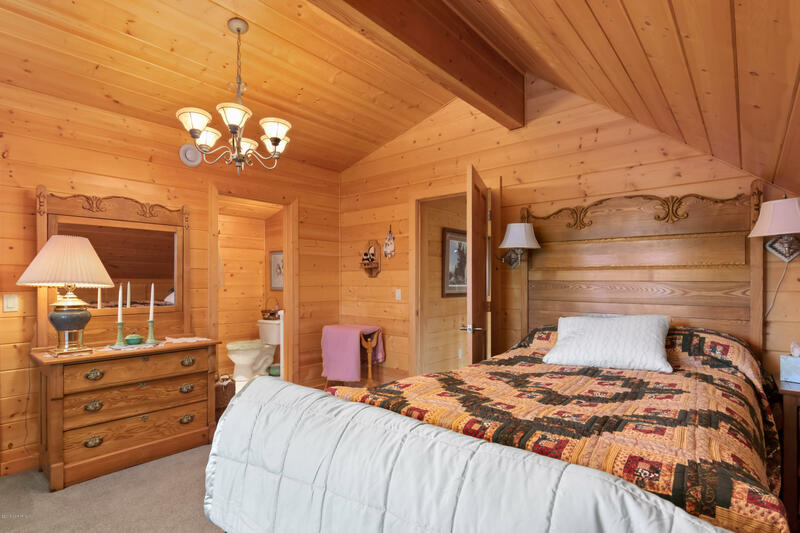 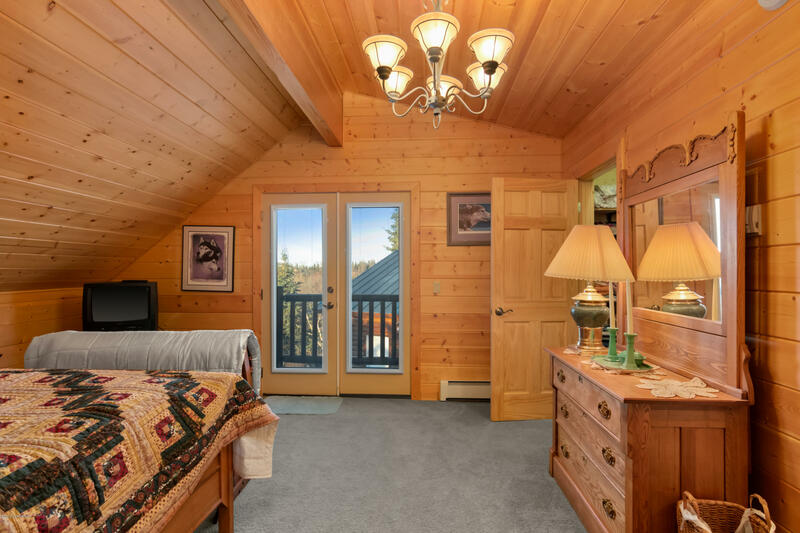 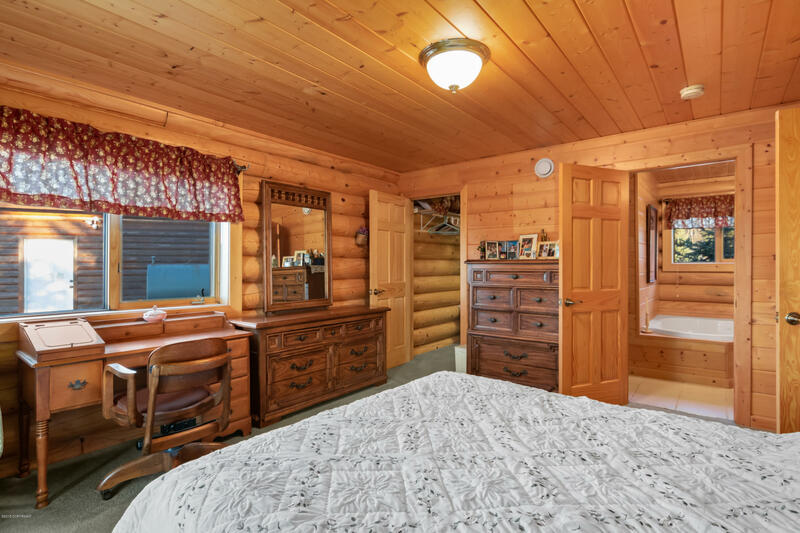 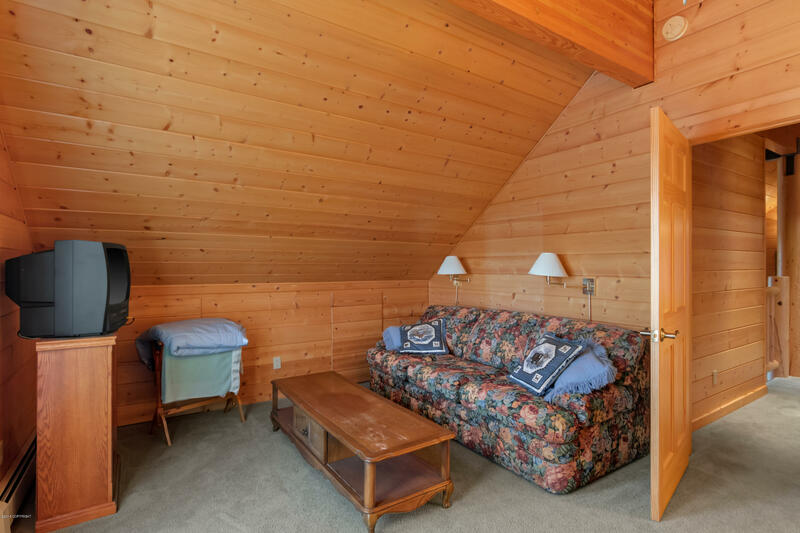 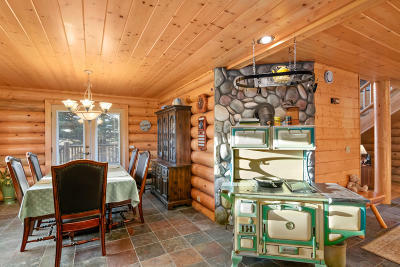 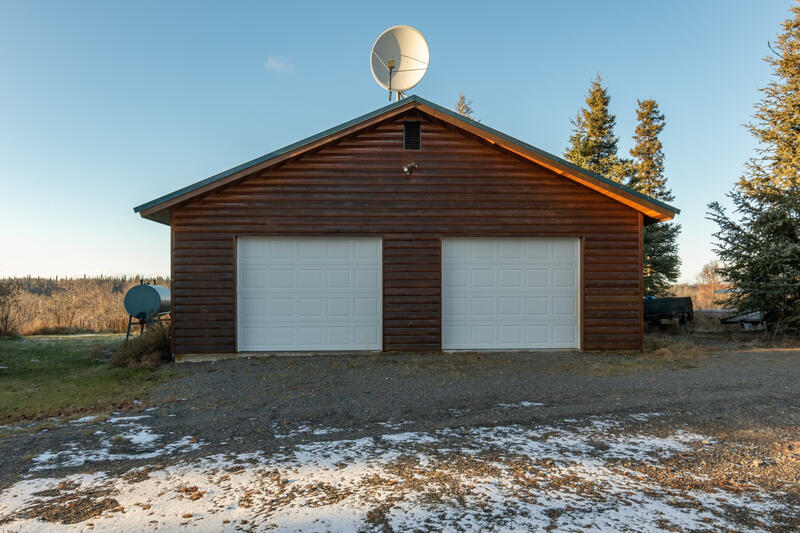 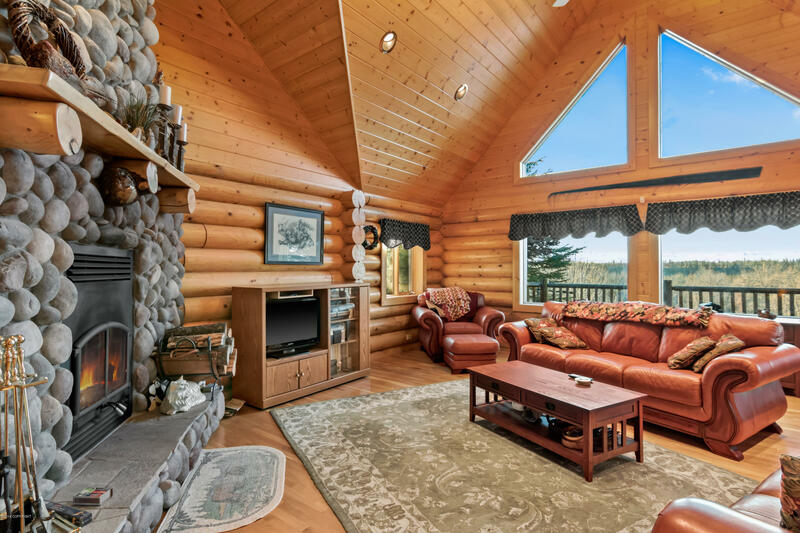 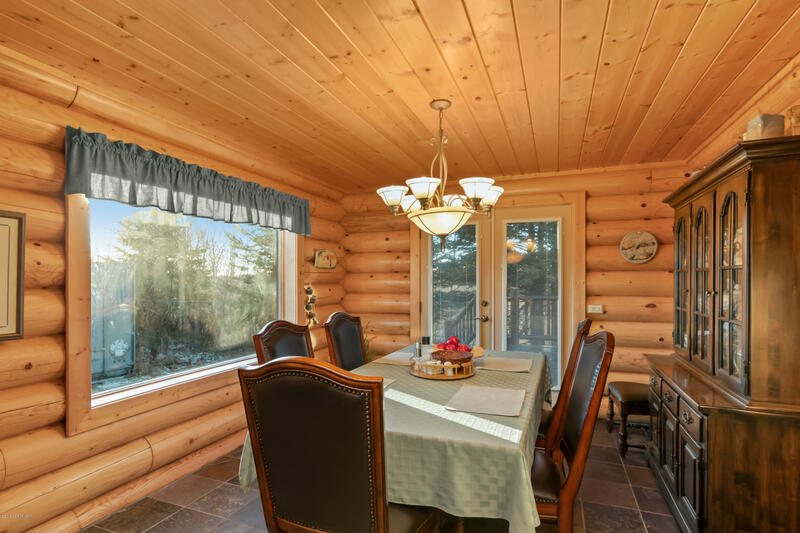 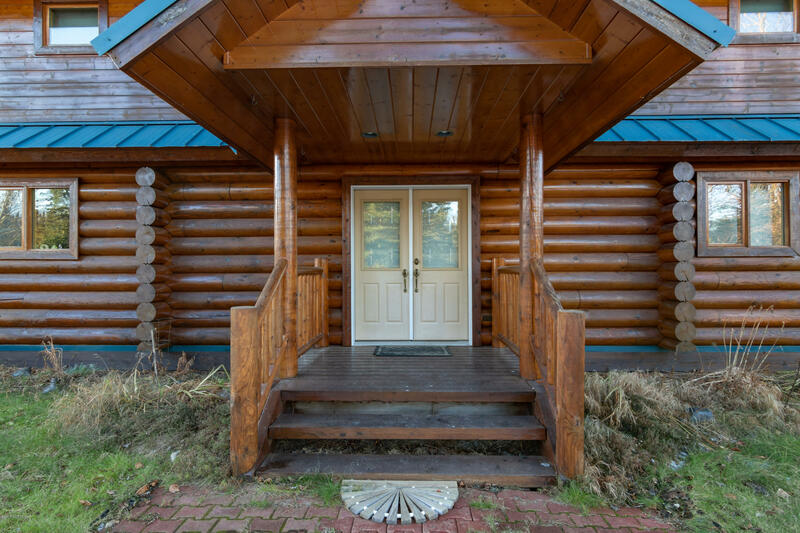 GORGEOUS custom built log home on over 12 acres with Deep Creek cutting through the property. 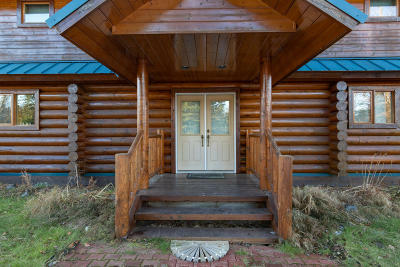 Situated in a quiet area, almost end of road. 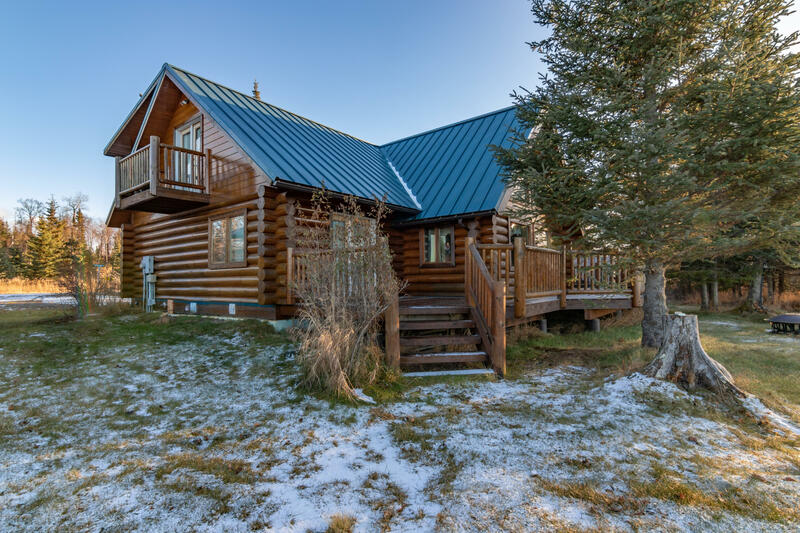 Eagles and wildlife abound. 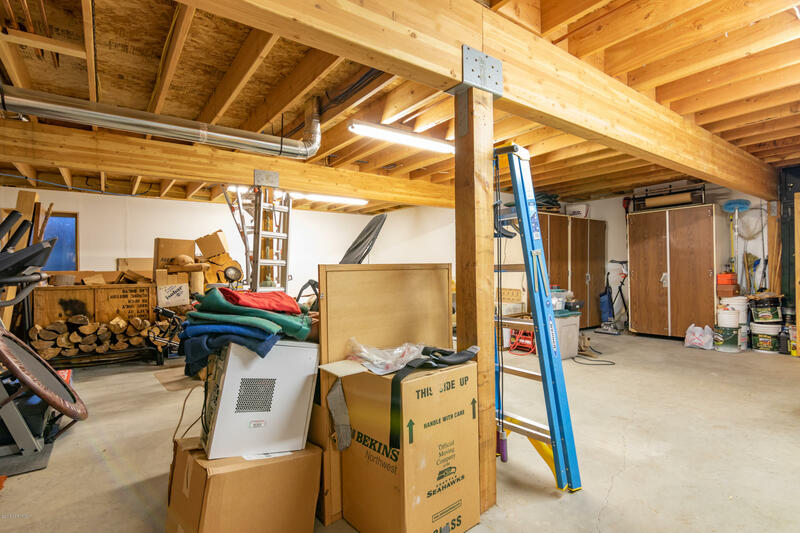 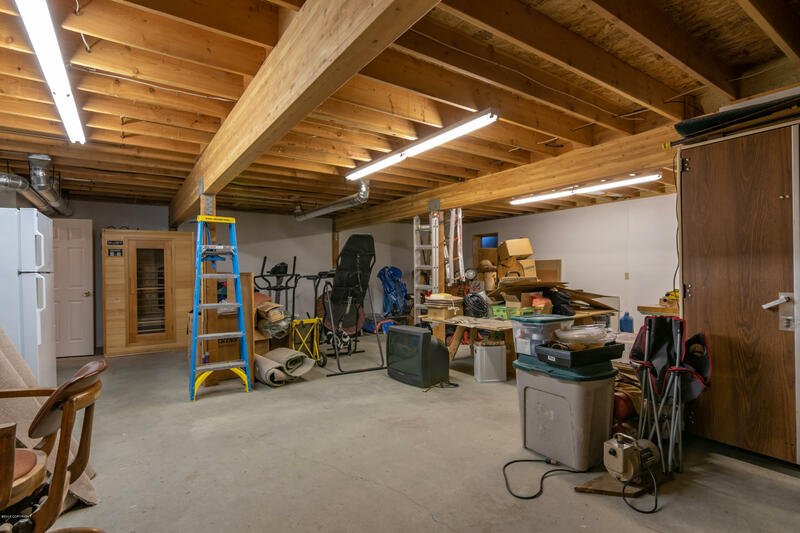 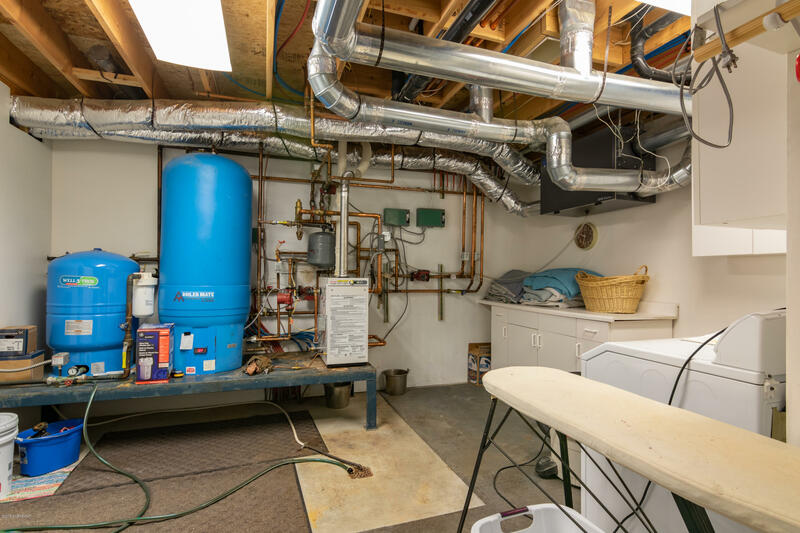 Full basement with egress. 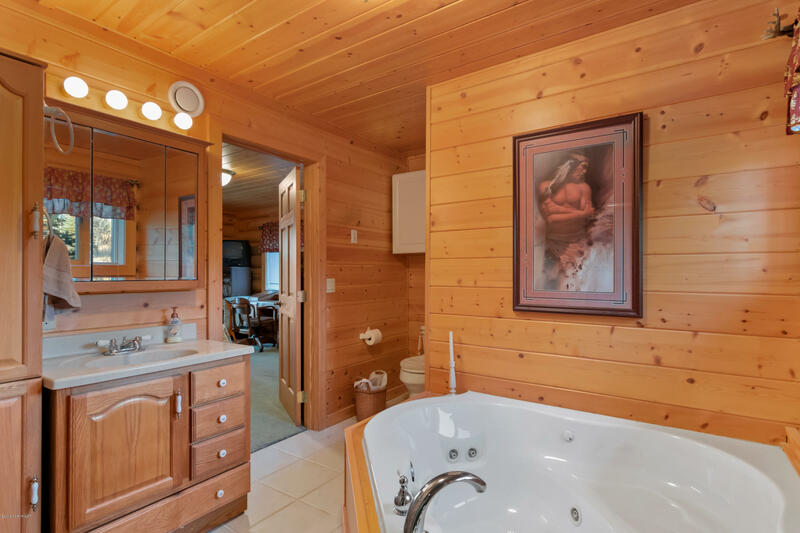 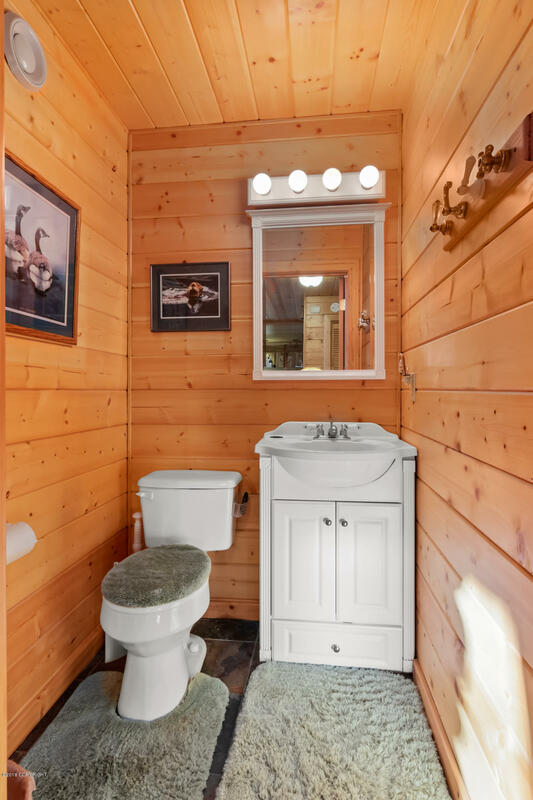 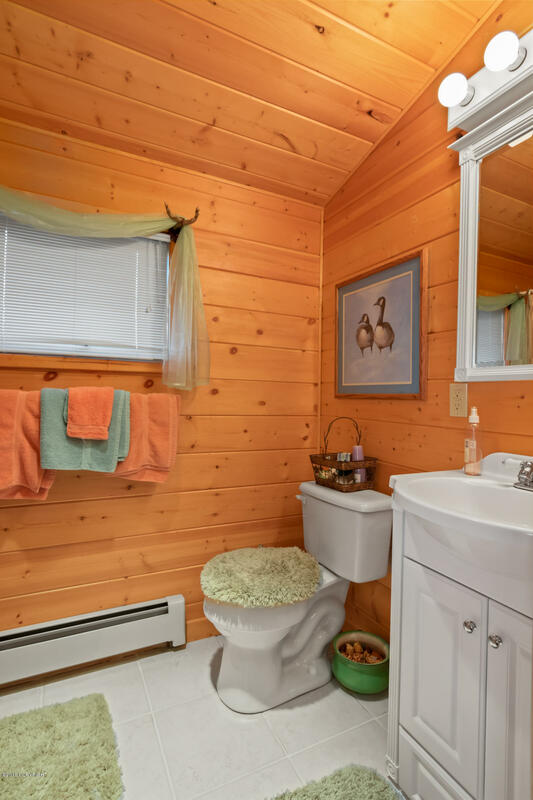 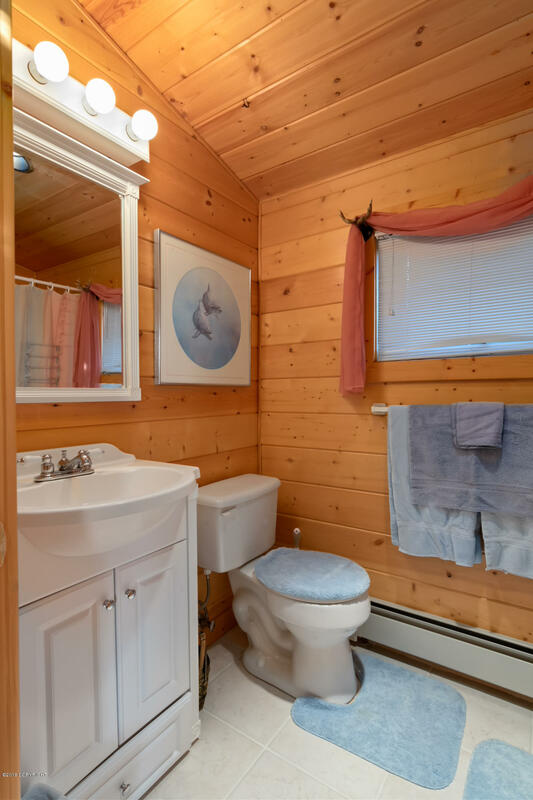 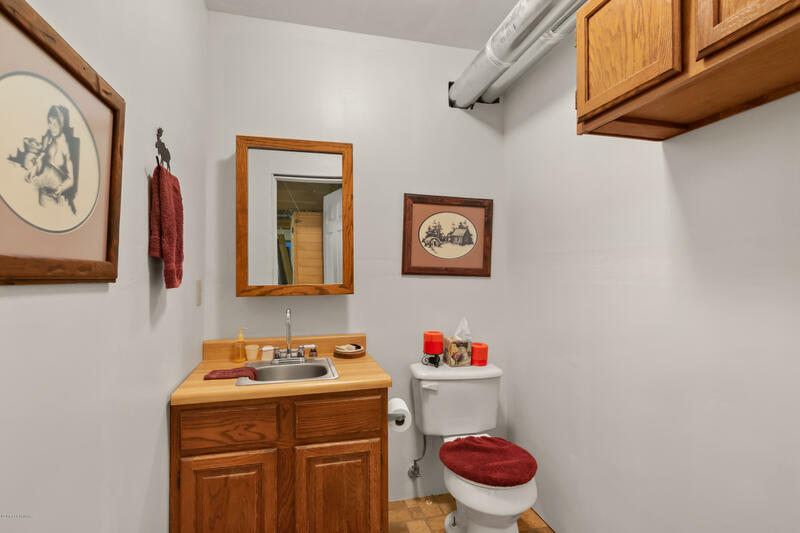 Full bathroom with each bedroom. 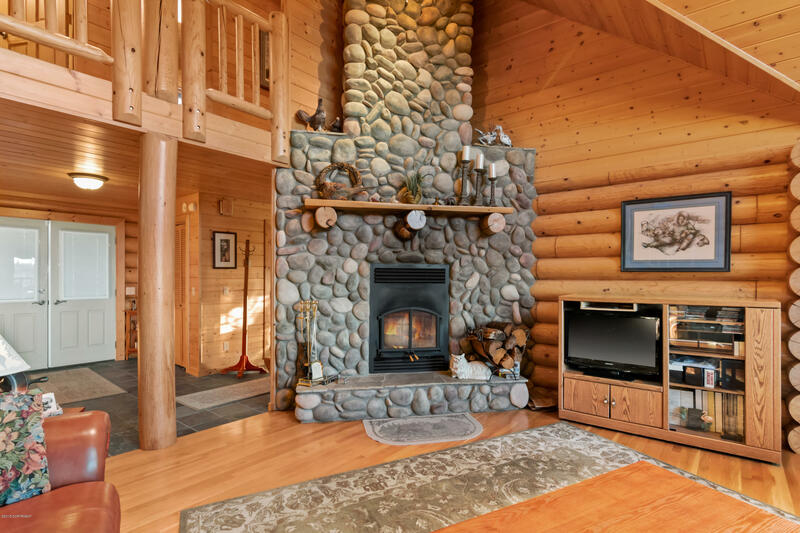 Beautiful stone fireplace and sauna for those chilly winter days. 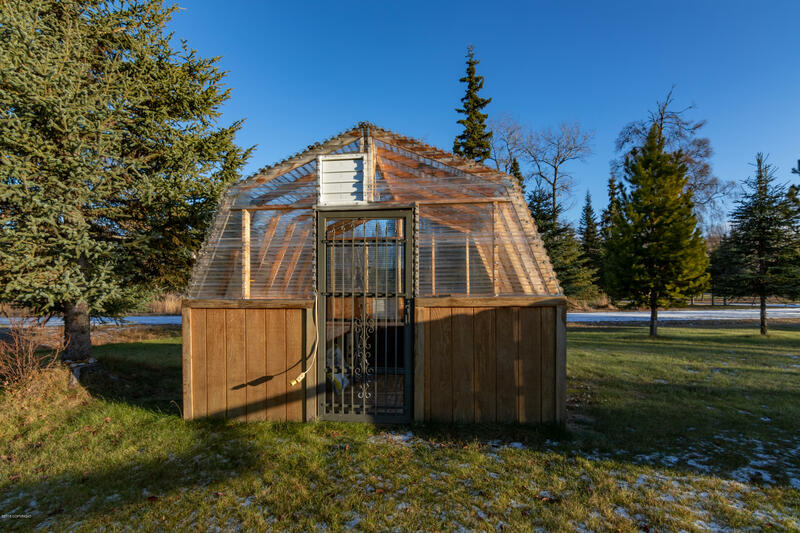 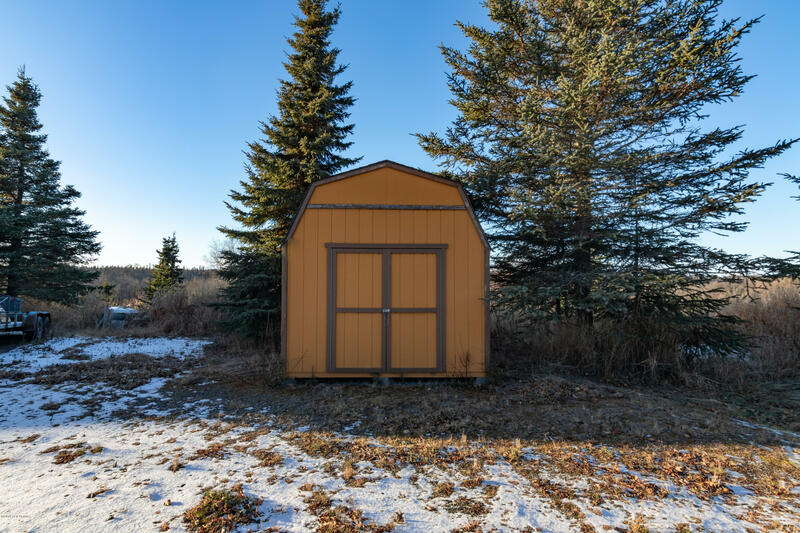 Large garage, garden area, greenhouse and dog pen. Furniture available with full price offer.